Kraljevo Royal Crowns won the first BAFL tournament in a well organized game in Kraljevo, where they overshadowed the Bucharest team 35:0. In this very important game, the Crowns had a lead all game long. The return of Strahinja Stepovic, a long time player for the Crowns, proved key for the team. Starting at his primary position, quarterback, he led Kraljevo to an early lead, scoring on the ground twice capitalizing on the mistakes the Romanian team made on kickoffs. The defense proved to be a powerhouse, containing the Rebels' bulldozer running back, Daniel Duta. The third score was a product of a good passing game where Stepovic connected with Stefan Djuric, the experienced receiver. On halftime, the coaches made a decision to put in the youngster Lazar Pejkovic, who had two passing touchdowns, one to Stefan Djuric and the other to Stepovic. The Rebels had only two first downs during the entire game. The awards ceremony was opened by Dragana Varevac, mother of a former Crown, deceased Luka Varevac who died tragically three years ago. The trophy was held up by Stepovic, the finals MVP. The BAF league opened up in Bucharest where the Rebels beat the Bears 6:0, and in the second round the Bears beat the Crowns at homefield. Finally, in the do-or-die round, Kraljevo walked out victorious and became BAFL champ. League Standings: 1st Kraljevo Royal Crowns, 2nd Bucharest Rebels 3rd Sofia Bears League expansions are ready for action due next year. Serbian team Bor Golden Bears, a small town team with good management is ready to step in. 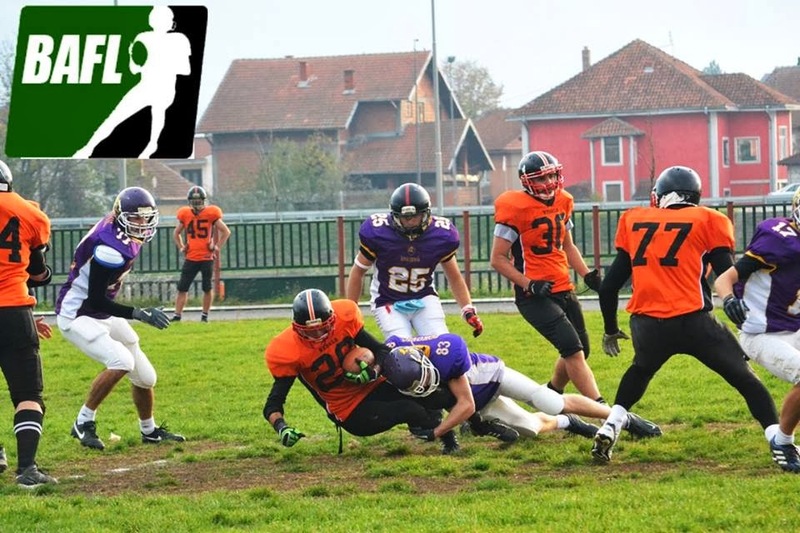 There are plans for an Alpe Adria Balkan Bowl game where the #1 team from the Alpe Adria League (Slovenia, Croatia, Bosnia) will face the #1 BAFL team (Serbia, Romania, Bulgaria) and so declare a true victor in the region "superbowl".